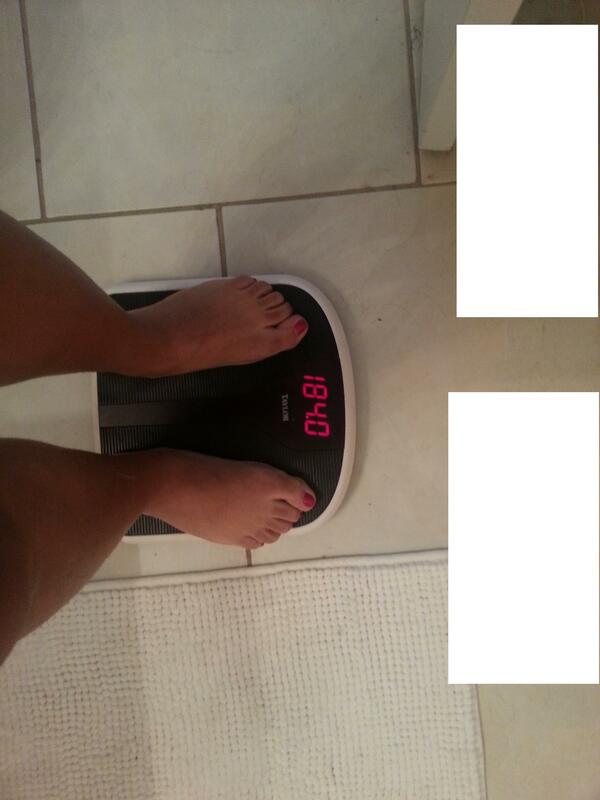 I knew I should have taken a picture of the scale when it said 181 last Thursday. I’ve lost 1 pound in the last two weeks, and if you count where I started from, I’ve actually gained a pound. Last week when I got on the scale, I was supposed to update everyone on my progress, but the scale stayed the same so I thought I would just weight (Freudian slip) one more day when the scale would be nice to me. But then a few days went by, I ate bacon, drank wine, took naps, and next thing I know, it’s today and I gained weight. That’s what I get for lying and trying to deceive you ( I’m crying internally, I swear). There has been some slight progress, I must say. Mostly with friends and colleagues commenting that I look different; as in weight is being redistributed, I’m losing inches, gaining muscle- that sort of thing. And as good as those compliments feel, when all these nice sentiments start to fill up in my brain, I fall into the trap of “I must be looking good, so therefore I will now eat a cheeseburger”. Really bad plan. I also have broken down and admitted to myself that I am my own worst enemy. I’ve been taking this financial planning class, in which the main focus is learning how to budget. One of the points made last week was that SINGLE people who don’t follow a budget will tend to overspend out of boredom. And where does overspending happen? Oh, just eating out a lot. Soooo, does that means that I am fat because I’m bored? Am I bored because I’m single? Am I single because I’m fat? And I’m broke because I don’t budget, because I spend all my money on McDonald’s? Which goes back to the why I’m single and lonely? Talk about a snowball effect. Let’s also go back to the “my own worst enemy theory” I mentioned. Remember that bold decision I made to give up red meat for Lent? Even though I haven’t had any beef since Ash Wednesday, I have since indulged my fantasy of turning myself into a piece of bacon or a friend chicken tender. I have turned into “Everything But Girl”, and have had stuffed myself with everything BUT cow. People, I have been gorging myself with every other meat known to man, in lieu of my beloved beef. No wonder I haven’t seen much of a change. I have had more chicken sausage, pork sliders, ribs, crab cakes, and bacon than I care to admit. And mind you, the vegetable/fruit intake has not changed much. I’m probably backed up worse than rush-day traffic on any highway in Miami (mind you I say rush day, because it’s never relegated to just an hour). Please pray for me. Thanks. *Please excuse the horrendous job I did trying to crop the picture above. I had just finished doing my hair and the floor resembled a crime scene, and I was just too lazy to clean up.